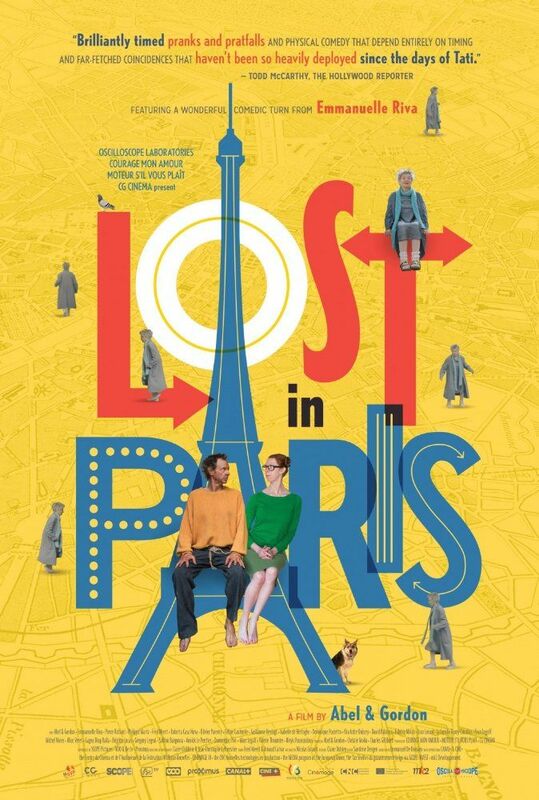 Lost in Paris (original title: Paris pieds nus) is a 2016 French-Belgian comedy film written, directed and co-produced by Dominique Abel and Fiona Gordon, starring Gordon as a Canadian librarian who meets a homeless man (played by Abel) in Paris. The film also features Emmanuelle Riva and Pierre Richard. Read more on Wikipedia.